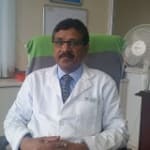 Dr. Manoharan.G is a renowned Gastroenterologist in Teynampet, Chennai. Doctor is currently associated with Gastro Care Clinic in Teynampet, Chennai. Don’t wait in a queue, book an instant appointment online with Dr. Manoharan.G on Lybrate.com. I have been operated leproscopy for gall bladder removal, after 2 years of operation my stomach still gets upset. What is the reason fr the same? I hav been following proper diet. Hi Himanshu, Your symptoms are of post gall bladder removal side effects, this can be reduce by taking following precautions, 1. drink proper quantity of water I.e. 2-3 liters per day. 2. eat fiber reach food with each meal and have food in small meals every 3 hrly. 3. avoid oily spicy food's and junk food's. 4. exercises daily. For the last couple of days. I am getting repeated burps entire day in irregular small intervals of 5 - 10 minutes. This is happening Not only after eating a meal. Could you please help me? I am 50 years old and having recurrent gastric problem, req to advice what could be the remedial treatment. Hi doctor I am suffering from reflux disorder, and belching with sour water many times, and bitter taste also what should I do. lifestyle modification like taking small frequent meals. not lying till 30 min after meals.avoiding excess tea coffee tobacco and alcohol. avoiding spicy and fried food along with medication can improve symptoms. Hi, I am 34 years old Male. I am suffering lots of itchiness on my stool passing area, I have applied olive oil but still it's itching a lot. So what shall I do? Apply a cold, wet cloth or ice pack to the skin that itches. Take an oatmeal bath. Moisturize your skin. Apply topical anesthetics that contain pramoxine. Apply cooling agents, such as menthol or calamine. I m having digestion problem after dinner time what should I do, to overcome this problem? Hi plan is dinner very early by 7.30pm and you r dinner should 1/4 of you r breakfast but you r breakfast should be high, and along with this dinner should be avoid of less sour, salt, and oily it should bland and easy to digest. There should be plenty of fruits, or salads or leafy vegetables. Which is the best treatment for fistula is it vaaft or ksharsutra. I am confused which one to undergo. Graded ksharsutra treatment is better than vaaft as in about 25% cases fistula recurs after vaaft whereas graded ksharsutra treatment assures complete treatment for fistula. No hospitalization or bed rest is required in this treatment. You can continue your normal routine activities as usual during this treatment. Sir mere ultrasound me nonalcoholic fatty liver grade 1 aya hai mene gestrologistc Dr. ko dhikaya unhone mujhe ye medicine di hai 1-revitrics tm 2-pantocar d 3-metrogyl er 4-i bset 5 mcg 5-dromilan m 6-atorinda sir kya ye medicine sahi hai. Ji nahi ye san medicine lene ki koi jarurat nahi he. Isse acha ap apne diet ki change kare. Take less fat. And do regular exercise and pranayama. Also take homoeopathic syrup liv t by sbl. Which DRS is best to use in acidities problem I am 24 year old. I am facing this problem last 2 month pls tell me best medicine to relief thanks. 1. Eat something like a banana (if you are not diabetic) or any seasonal fruit or soaked almonds and a glass of water first thing in the morning (within 10 mins of waking up). 2. Take your breakfast every day. Don't skip it. 3. Have light meals every 2 hours (in addition to your breakfast, lunch n dinner) e.g. Nariyal paani, chaach, a handful of dry fruits, a handful of peanuts, seasonal fruit, a cup of curd/milk etc 4. Finish your dinner at least 2 hours before going to sleep. 5. Maintain active life style 6. Avoid fast foods n fried foods 7.Take a lot of green vegetables n fruit. 8. Drink lot of water 9. Everyday preferably sleep on same time Exercise in the form of yoga, cycling, Swimming, gymming, walking etc. For more details you can consult me.